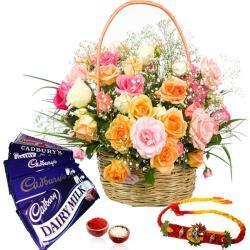 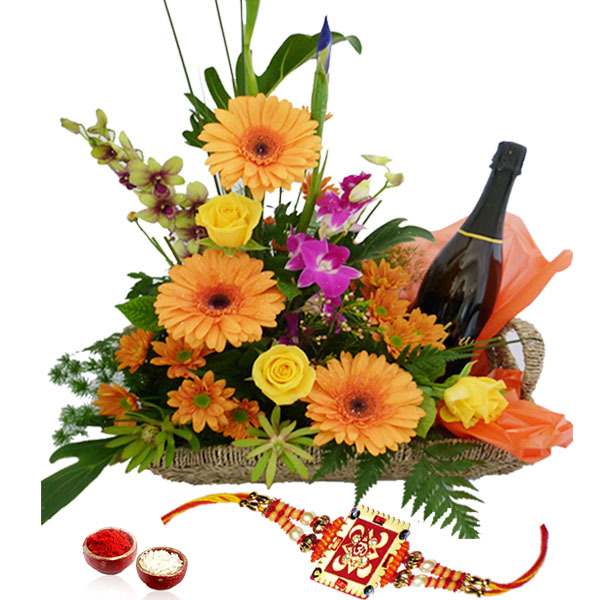 Basket of 15 stem seasonal flowers like Yellow Gerberas and Roses and Orchids, Bottle of Indian Branded Wine along with a Rakhi, Roli Chawal. 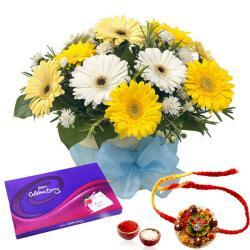 Near to Rakhi, the soul of the festival of Raksha Bandhan, there are significant combos with their equal contribution to the happiness shared. 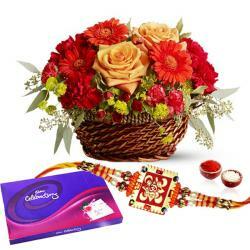 Get such uneven flavors of combos packed beautifully with Rakhi to celebrate this festival in a wholly different way. 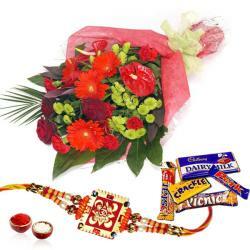 This beautiful Rakhi Combo includes : Basket of 15 stem seasonal flowers like Yellow Gerberas and Roses and Orchids, Bottle of Indian Branded Wine along with a Rakhi, Roli Chawal.